The New Year usually brings resolutions. A promise to do an act for the betterment of ourselves. Exercise more. Eat healthier. Have my finances in order. Less stress. Travel more. Be kinder. I surely have had my own personal share of successful and (mostly) failed resolutions. But this year, instead of a New Year's resolution, I have chosen a motto. A saying to remember. A statement in which I will live by. It is from one of my son's favorite church songs. He doesn't know all the words but he sings the chorus with such zeal and so much passion. And when I truly paid attention to the words, I realized there is a huge lesson I can take from it. Having a bad day? Name three blessings in your life. Right now. Complaining about the huge pile of dirty laundry? Be thankful about the blessing that you have clothes to wear. 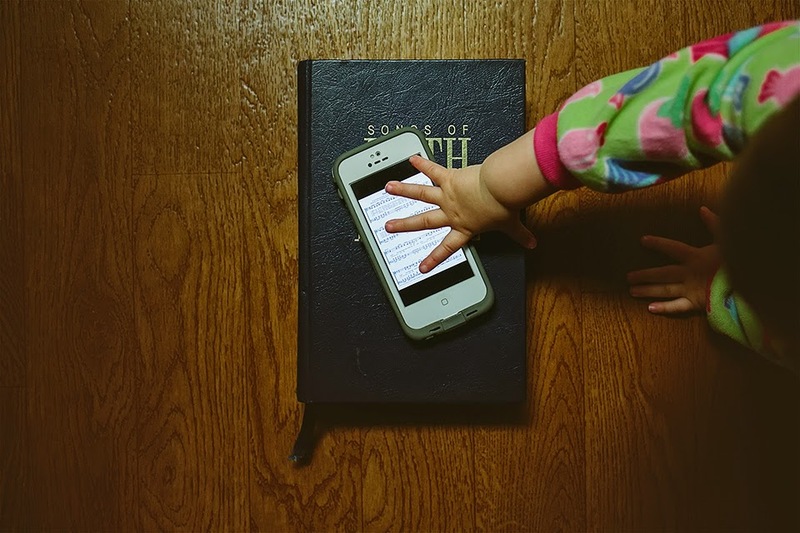 Upset that your daughter "ruined" your photo by reaching for the phone? How about be thankful for the blessings of those curious chubby fingers instead. You see, it is almost impossible to stay angry or stressed or sad when we force ourselves to name a few (or even just one!) positive things in our life right now. You don't have to say it out loud (although I think I need to do this for the first few weeks) and it doesn't have to be big. 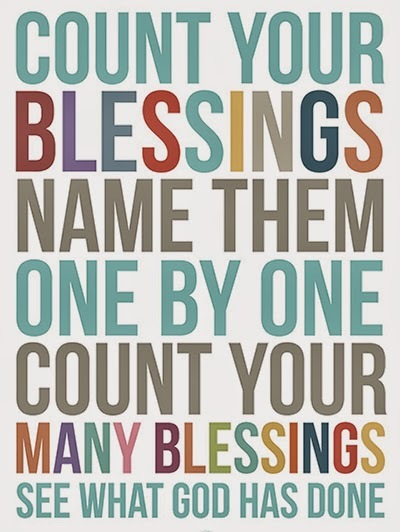 A blessing is a blessing. And maybe at the end of this new year, I don't have to consciously remind myself to think this way. It will just come naturally. So here's to the new year. To 2015 -- where I will be focusing on counting and being thankful for the blessings God has given me, continues to provide me, and the many more blessings ahead. Think that God has promised you his wealth untold. Do not be discouraged, God is over all.